Obituary for Betty Jean (Farmer) Pound | Minnis Chapel, Inc.
Betty Jean (Farmer) Pound, age 89, passed away on Apr. 5, 2019 at Kenwood Plaza, St. John, KS. She was born on Mar. 28, 1930 at Fort Collins, CO, the daughter of Thomas Nelson and Mary Dorcas (Rice) Farmer. 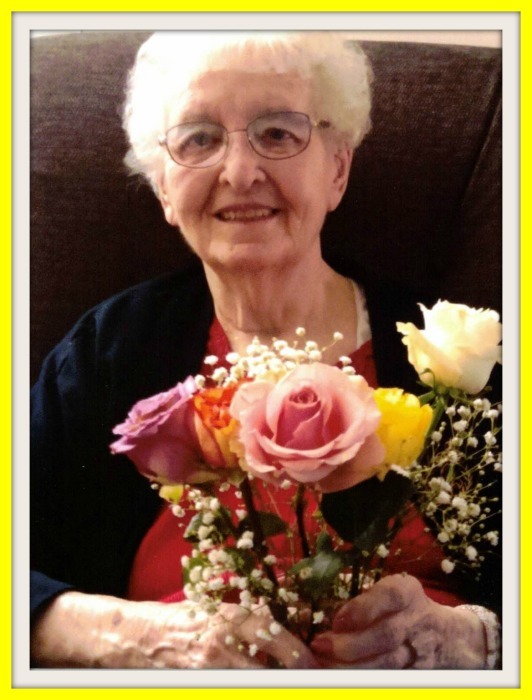 She was a resident of St. John, KS since 1951 coming from Ault CO. She was a graduate of Ault High School in 1948 and on May 7, 1949 she married Glenn Arnold Pound in Ault, CO., he preceded her in death in 1997. A homemaker and former employee of the St. John District Hospital where she worked in the Housekeeping and Laundry departments. Betty was a member of the First Missionary Baptist Church of St. John, KS. Survivors include two sons, Arnold Ray Pound, Wichita, KS, Terry Lee Pound (Cindy), Lyons, KS; a sister, Bonnie Goodman; 7 grandchildren, 21 great grandchildren, 11 great great grandchildren; son-in-law’s, Ronnie Tanner and Roy Herrenbruck, St. John, KS. She was preceded in death by two daughters, Glenna Jean Corby Tanner and Pamela Jean Herrenbruck; 9 brothers, 4 sisters, a granddaughter, Vickie Fisher and a daughter-in-law, Cynthia Ann Pound. Funeral service will be 10:30 AM, Friday, April 12, 2019 at Minnis Chapel, St. John, KS, with Pastor Wade Russell presiding. Burial will follow in the Fairview Park Cemetery, St. John, KS. Visitation will be on Thursday, April 11, 2019 from 1-7PM at the funeral home, with family present from 5-7PM. Memorials may be given to Kindred Hospice or the Ronald McDonald House in care of Minnis Chapel, P.O. Box 34, St. John, KS 67576.